ChemoSophia has received no funding and grants from any governmental, commercial organization, individual or investor. It performs free automatic computations in the area of chemistry and bioinformatics including modelling of structure, conformational analysis, estimation of electron, physical-chemical properties and bioactivities of molecules and complex systems. We are sorry for incomplete visualization. The computations are time-consuming, requiring correct modelling of structure and reliable computations of molecular characteristics, parameters of interactions with receptors (energies, forces, force constants), electron characteristics. We did our software to help scientists in design of new perspective drugs and materials. Software is based on the models of Dr. Vladimir Potemkin and Dr. Maria Grishina. We hope that the software will contribute in making people healthier and the world better. 2. Potemkin V.A., Grishina M.A. A new paradigm for pattern recognition of drugs// J. Comput. Aided Mol. Des.- 2008.- V. 22.- P. 489 - 505. 1. Potemkin V.A., Grishina M.A. A new paradigm for pattern recognition of drugs// J. Comput. Aided Mol. Des.- 2008.- V. 22.- P. 489 - 505. 2. Potemkin V., Grishina M. Principles for 3D/4D QSAR classification of drugs// Drug Discovery Today.- 2008.- V. 13.- No. 21/22.- P. 952 - 959. 3. Potemkin V, Pogrebnoy A., Grishina M. A Technique for Energy Decomposition in the Study of "Receptor-Ligand" Complexes //Journal of Chemical Information and Modeling - 2009.- Vol. 49.- N 6.- P. 1389 - 1406. 1. Potemkin V.A., Arslambekov R.M., Bartashevich E.V., Grishina M.A., Belik A.V., Perspicace S. and Guccione S. Multiconformational Method for Analyzing the Biological Activity of Molecular Structures// J. Struct. Chem.- 2002.- V.43.- N 6.- P. 1045 - 1049. 1. Potemkin V, Pogrebnoy A., Grishina M. A Technique for Energy Decomposition in the Study of "Receptor-Ligand" Complexes //Journal of Chemical Information and Modeling - 2009.- Vol. 49.- N 6.- P. 1389 - 1406. 1. Grishina M.A., Bartashevich E.V., Potemkin V.A. and Belik A.V. 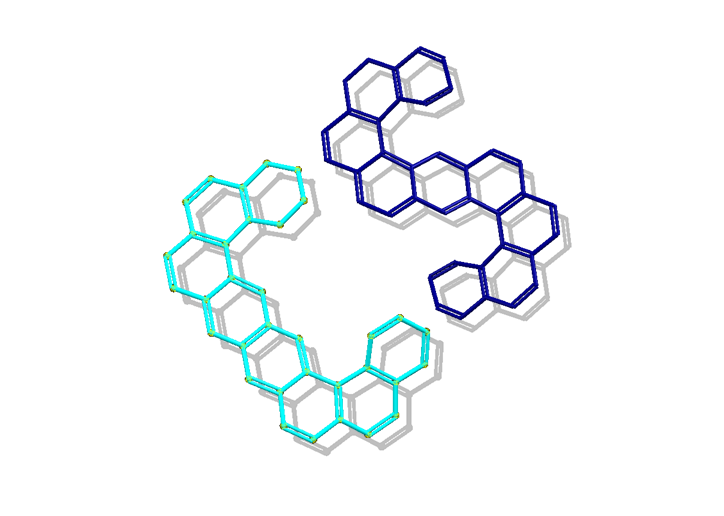 Genetic Algorithm for Predicting Structures and Properties of Molecular Aggregates in Organic Substances// Journal of Structural Chemistry - 2002. - V.43.- N6.- P. 1040 - 1044. Full list of publications see here .